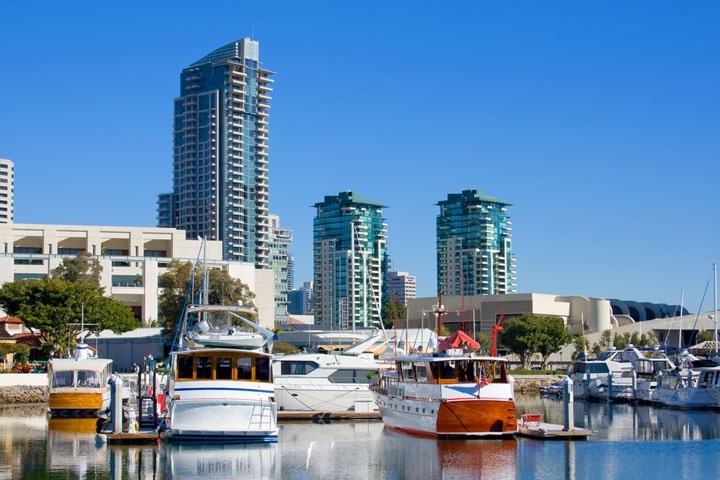 Columbia District Condos in downtown San Diego is located on the western side of Downtown San Diego located north of Little Italy and south of the Marina District. This coastline is also used for Cruise ships as the come into the San Diego bay area. Condos in the Columbia District will have great unobstructed views of the water and city light views. The Columbia District is among some of the most expensive real estate for sale in the downtown area with luxury downtown condos in the Grande South, Grande North, Bayside, Electra, Sapphire and Treo. Below are the current Columbia District condos for sale in San Diego. All San Diego homes and San Diego Condos for sale are also listed below in the various San Diego neighborhoods. Questions? Let our team of San Diego Realtor Associates help you. Please contact us at 1-888-990-7111 today.